Samara — people always write with special warmth about Samara. 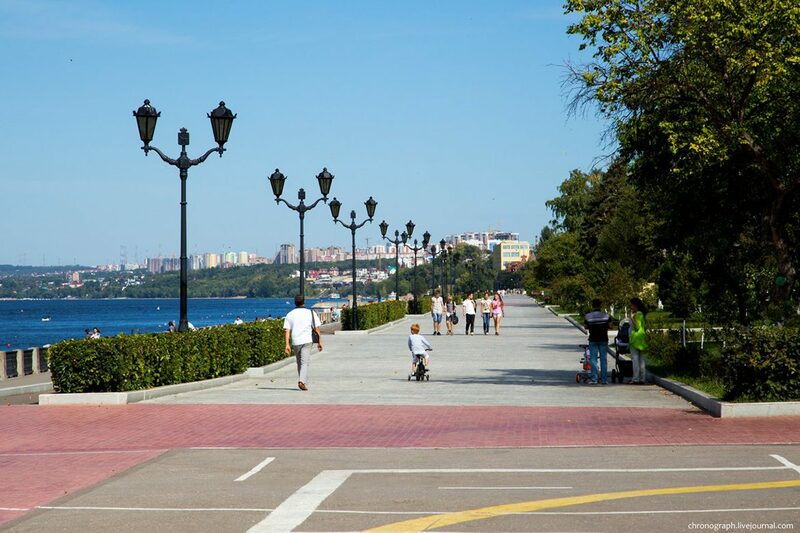 Some call it a resort, because it stretches along the Volga for 50 km and the beaches occupy a special place here. 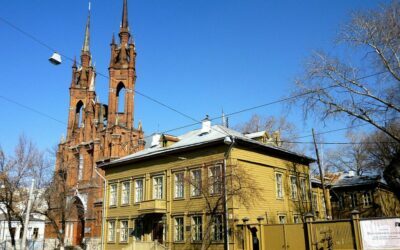 Some consider this city a major industrial and economic center, as there are a lot of the largest enterprises in Russia, including the Oil Refinery, Machine Building, Aviation and others. 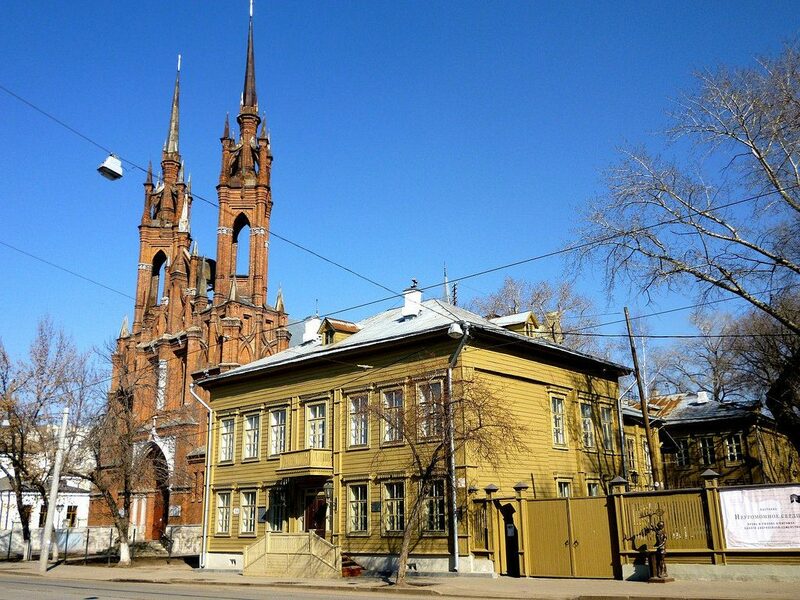 Samara is a very inconspicuous industrial city, but it has a rich and interesting soul. Here you will imbue with the spirit of the Soviet Union and you will see dizzying modern technologies, from the factory districts you will immediately get to the resort beaches of the Volga, with your hands touch the Space and go down to the underground bunkers. 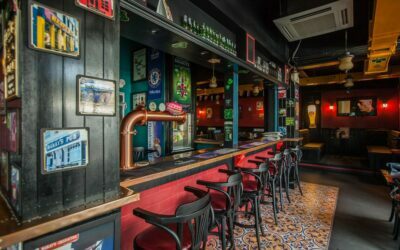 Football fans here just will not be bored – this city with a taste of beer and all is saturated with football spirit. In fact – this is a city of contrasts. Here in one street you can meet fashionable office skyscrapers and wooden huts, the local relax on the beach under the sun, and then gather and go to work on the night shift. It is here that you can relax, and explore the historical roots, climb the highest observation platform – Mount Camel – and go down there in the underground tunnels. 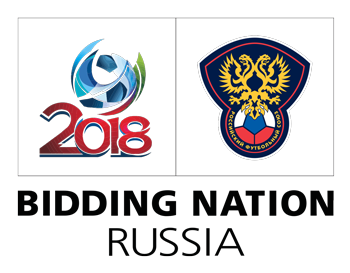 In the Samara region there will be 6 matches of the 2018 World Cup, 4 of them with teams, 1/8 and a quarter of the final. Fans will come to the city from Costa Rica, Serbia, Australia, Denmark, Uruguay, Colombia, Senegal. Also, our team will fight here. 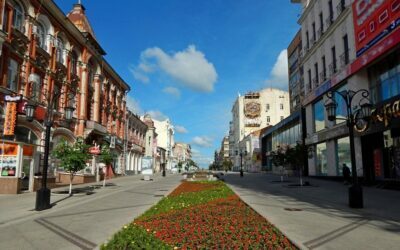 The authorities forecast that about 500 tourists will come to the city, and on the first day of the championship, a flow of 50,000 guests is expected. Everyone who has a ticket will be provided with free travel in all types of public transport. 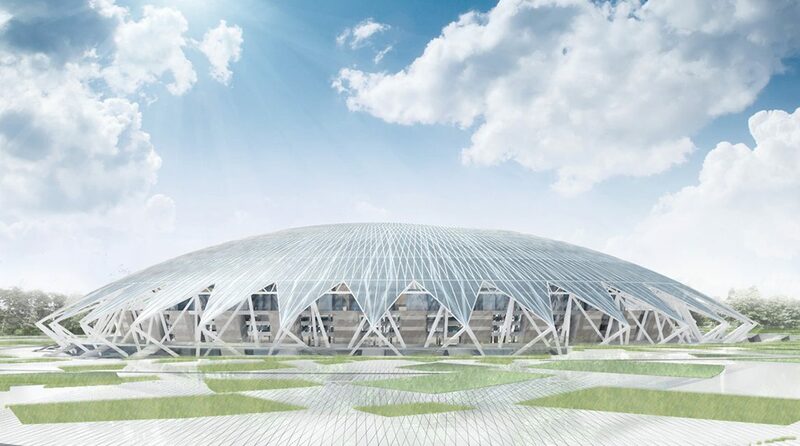 All football matches will take place on a specially constructed new stadium “Samara Arena”. It was opened just exactly a month ago and already managed to hold two test matches. Samara fans are delighted with the new design in the vicinity of the village of Radio Center, the highest point of the city. 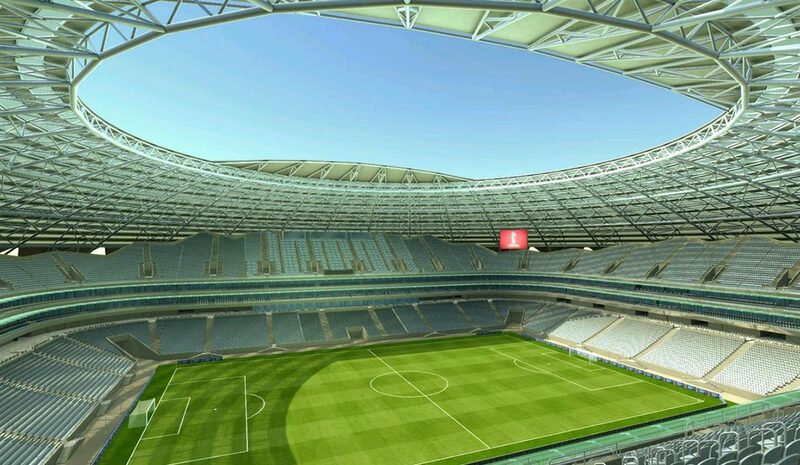 The stadium resembles the design of a space dish, because of what its local called “Space Arena”. Its base is made of metal elements, which at the bottom resemble a star, and from above formed a spherical roof. Spectator stands are installed in two tiers, there are altogether 45,000 seats. Developers worried about the comfort of their viewers – the rostrums are heated, and over the field hangs a few scoreboards, an area of 172 square meters each, with high resolution. Between the tiers are located skyboxes – closed spectator lodges. There are also places for people with disabilities and overweight. You can get there by comfortable ramps. For ordinary viewers put comfortable chairs that fold. But even in the unfolded state between the rows it is convenient to pass. The chairs of the VIP-boxes have a softer base and coasters. The organizers also note that the stadium has an enhanced security system: metal detectors, indicators that detect explosives are operating at the entrance. Also equipped with a system of alarms, security cameras, alerts. Constantly work three dozen guard posts. Get to the venue for matches to all fans with tickets can be free of charge on special bus shuttles, which will run around the city. You can find them by the football symbolism and the sign “Free travel”. Also there will be a fast tram service with a stowaway pass. In the district of the stadium there is a lot of public transport. You have to go to the stops “Tashkent” or “Dubki”, from there the arena is in walking distance. Do not forget that you can not bring any type of weapon with you, drinks in glass containers or cans, pyrotechnic products and other dangerous items. 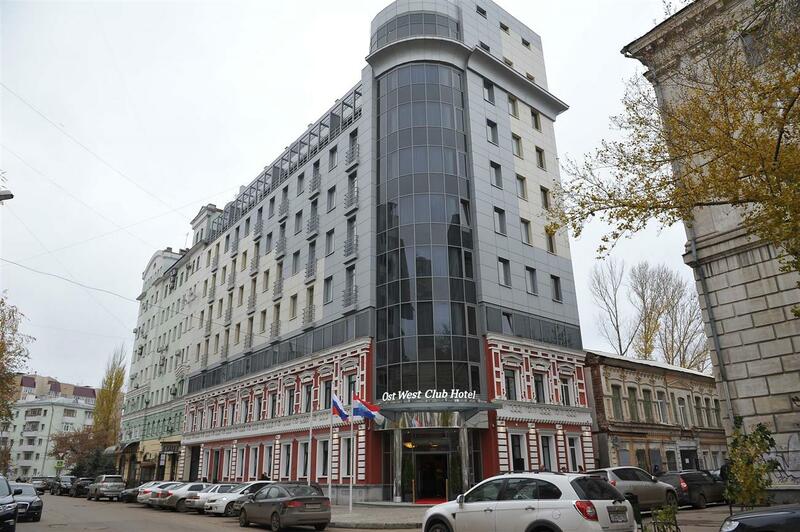 According to official data, 506 hotels of different classes were prepared for the 2018 World Championship in Samara. 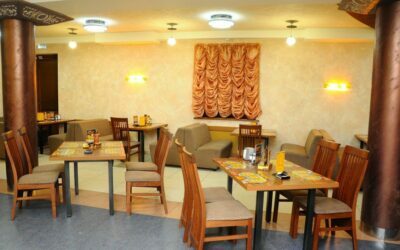 You can stay overnight for the most budgetary – from 400 rubles. for the bed in the hostel. The average room in a hotel of 2-3 stars will cost around 2500 rubles. We have allocated TOP-popular hotels of the city, about which good reviews and which keep the optimal price. 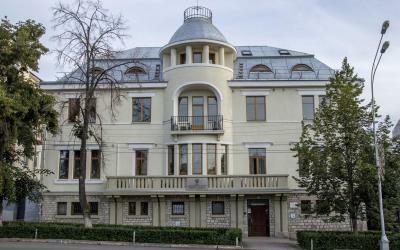 On the first place is “Ost West Club”, which is located on the street. The garden. Standard room here will cost 4335 rubles, the most expensive suite – 6800 rubles. All rooms are equipped with Wi-Fi, telephone, mini-bar, TV and desk. The hotel has a sauna, a fitness center and a hydromassage. The room rate includes breakfast. 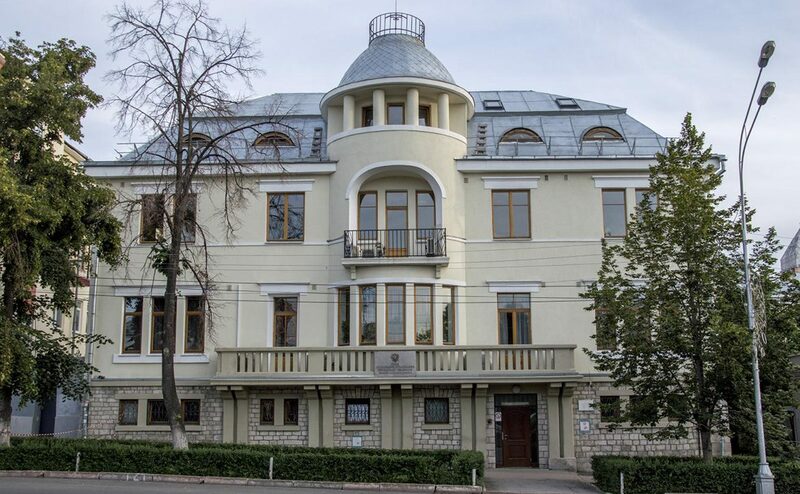 The second place in the reviews of tourists is the hotel “Graf Orlov”. It is located on the street. 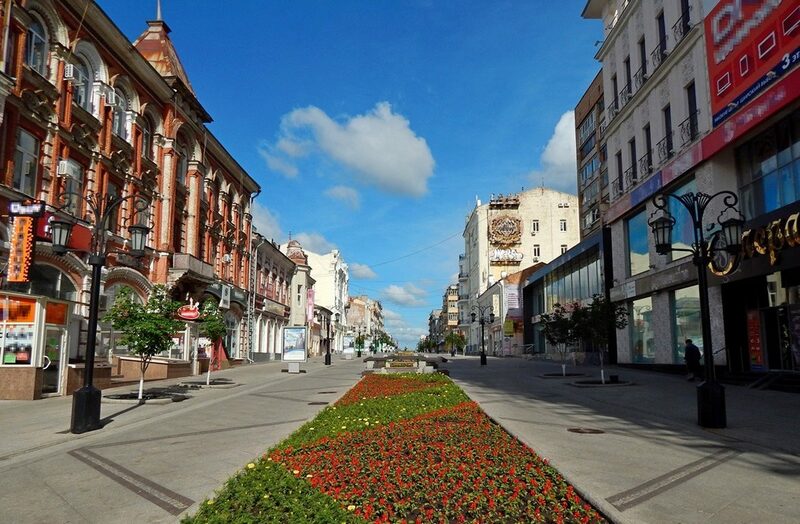 Kuibyshev, in a popular tourist area. The establishment has 4 stars. The cheapest economy class room is 4500 rubles, the average standard is from 5600 rubles. 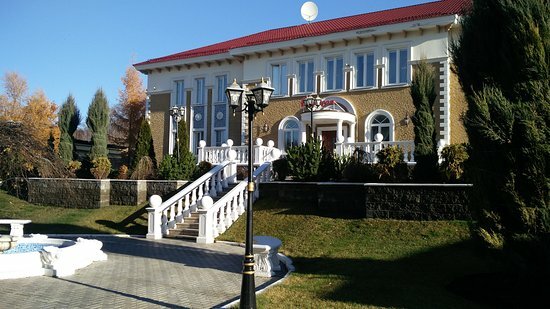 for one, the most expensive suite for two is 7600 rubles. All guests can use the gym for free, but for a sauna, massage, laundry and a trip to the hairdresser will have to pay. On the deserved third place is the hotel complex “Russian Hunting”. True, he is in with. Kuromoch, this is 35 km from the center of Samara, by public transport it takes about 45 minutes. Here you can rent an economy room for 4500 rubles, a bungalow for 5500 rubles, comfort from 6500 rubles. 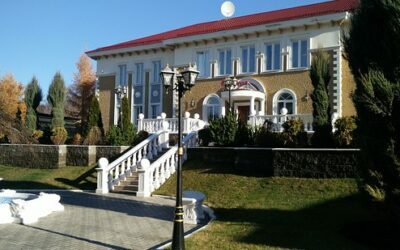 up to 12,000 rubles, and a separate cottage for 20,000 rubles. This option will appeal to lovers of outdoor recreation – clean air here, wooden houses, access to the river. Tourists celebrate the beauty of the territory, come here to conduct a photo session of weddings and other holidays. You can rent a gazebo, a canopy, a sauna or a sauna. There is a large restaurant and a banquet terrace by the river. Zhigulevsky brewery. 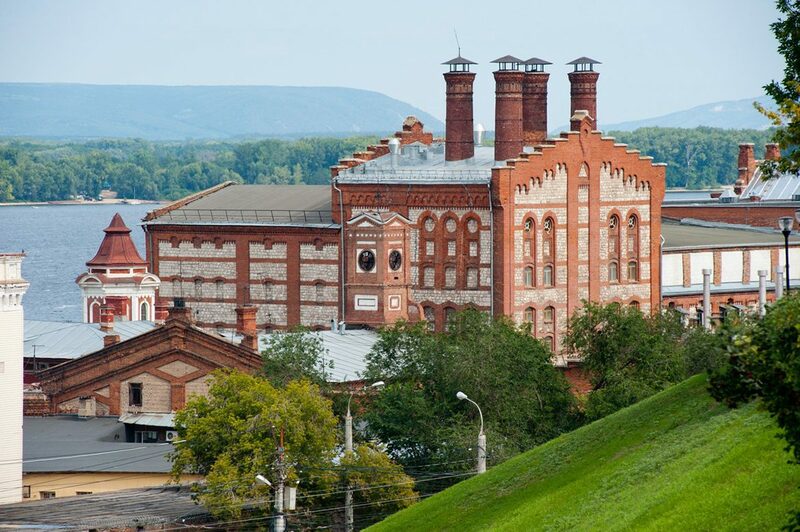 Samara is the birthplace of Zhigulevsky beer, known throughout the former USSR and the most popular in Russia. It is here that the brewery is located, which was built in 1881 and produced a foamy drink according to all Austrian standards. 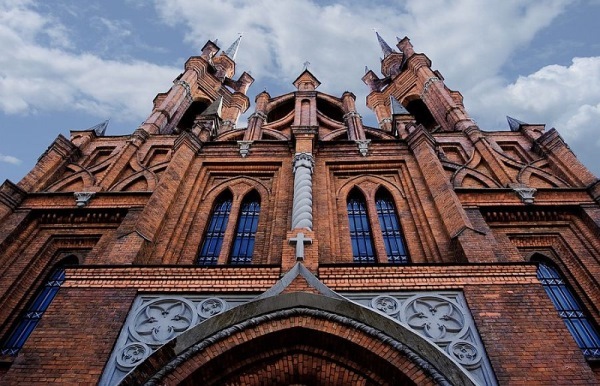 The building itself is considered an architectural monument. Passing by, you can hear the sound of bottles on the conveyor and the smell of malt in the district. 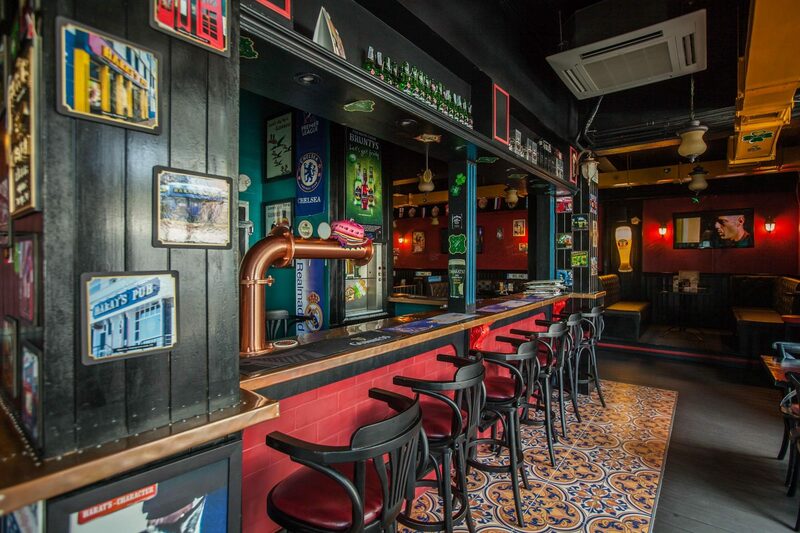 Nearby is the bar “At the bottom” – the cult place of the city. Local people come here with five-liter bottles, so as to be fed with the freshest beer. It is delivered directly from the factory here by hoses. On the taste of beer, we did not find any negative feedback, it is here, according to visitors, the ideal. Under it, a whole range of salty snacks is selected for any budget. This place is “must visit” for everyone, they say, it’s the taste of Samara that is bitter with a sweet aftertaste. The Samara embankment. Here everything is in the best traditions of an ideal waterfront near the water: pavements lined with tiles, cozy shops overlooking the river, well-kept flower beds and lawns, intricate lanterns, bronze monuments, dozens of restaurants and souvenir shops. Here the city’s soul has lain – broad beaches and memorable city buildings. The street stretches along the coast for 5 km, to reach it easily – the closer to the water, the sharper the descent of the streets. People go here to relax, soak up the fine sand (there is a paid and free beach), work out for sports – along the entire length of the beach platforms, training simulators are installed. The bunker of Stalin. This object was kept secret until 1990, and now it accepts thousands of tourists who want to plunge into the secrets of the Soviet Union. 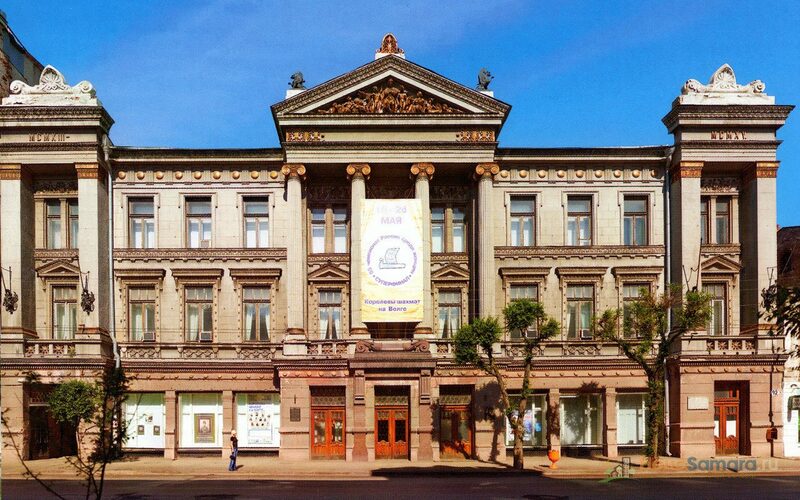 It is located in the building of the Academy of Culture and Art. In the wall of the building is placed an inconspicuous door, behind it a platform and a 14-meter descent, it leads to the floor with all life support devices. There are also spare exits. If necessary, this floor can be covered by a huge door, it can withstand a load of 10 tons per 1 m2. Further, the descent to the ground continues for another 23 meters. There are basic living rooms. During the bombing, Stalin’s daughter was hiding here, and her father visited. The history of the building is no less interesting than the bunker itself. Construction began in 1941, a total of 3,800 workers worked day and night, in two shifts without days off. Everyone signed a paper on non-disclosure, even residents of neighboring houses did not expect that construction was in progress. Workers lived and fed directly in the constructed underground premises, cars with ground were taken out at night. The scale of the bunker is impressive, it is equivalent to a 12-storey under the ground. You can get there by public transport, which goes to the street. Frunze. Adult ticket costs 350 rubles, children’s (up to 10 years) 250 rubles. Be sure to take the guide, so the trip will be more interesting and rich. The Samara Space Museum. You probably will notice at the end of the prospectus to them. Lenin’s real rocket R-7 “Soyuz”, which is almost ready to take off. It was placed here in 2001 in honor of the anniversary of Yuri Gagarin’s first flight into space. Under the rocket – the building in which the museum and exhibition center is located. 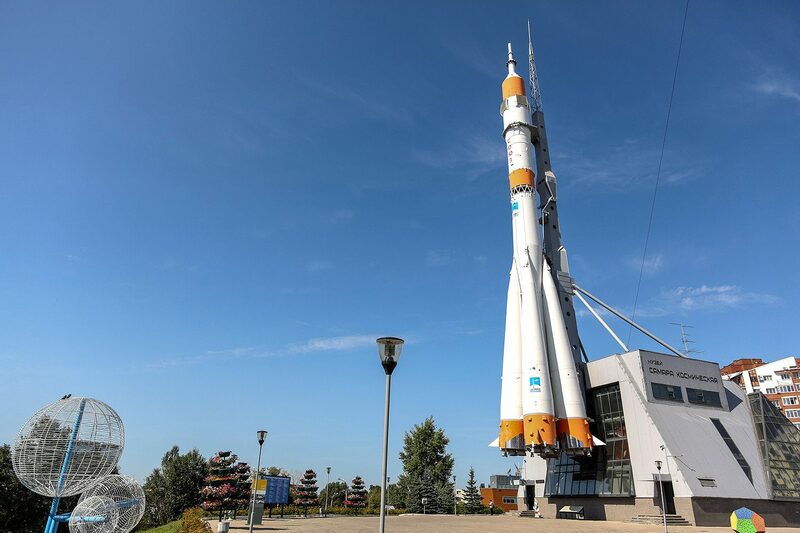 Each tourist will be struck by the size – the rocket itself rises to 68 meters, and weighs more than 20 tons, the design that holds it, weighs another 53 tons. In the museum there are rare exhibits, which were classified in the USSR times – parts of missiles, their engines, real space stations, apparatus for photographing objects in outer space, space suits belonging to astronauts. There is a special room, which shows how people live in orbit. There is a table with space food in different packages. Also in the hall there are a number of interactive exhibits, which in the form of comic books tell how cellular communication works, what methods meteorologists learn about weather, with the help of which the Internet works all over the world and the like. 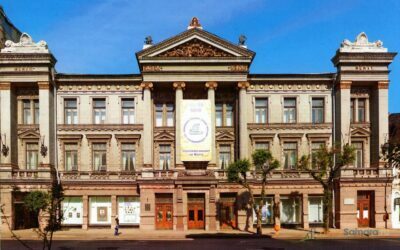 Admission for adults will cost 150 rubles per room, children, schoolchildren (16-18 years), students and pensioners can enter for 100 rubles. 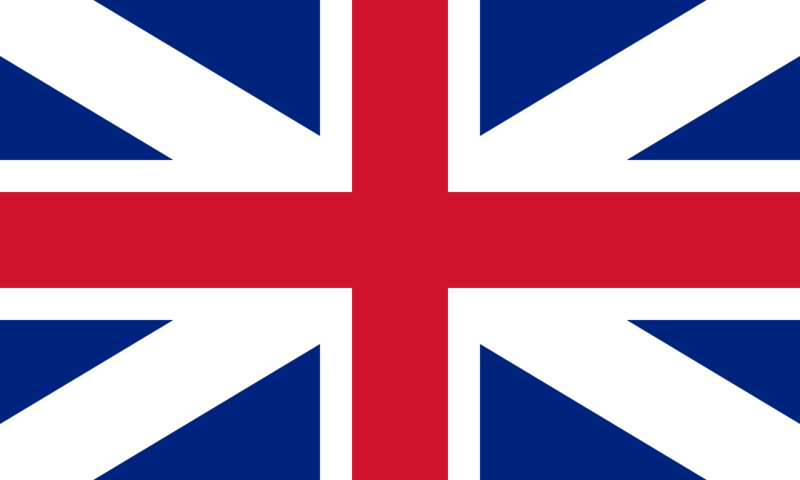 Free of charge the museum will be visited by children under 16 years old, soldiers, invalids and veterans. The museum provides audio guide services in different languages (50 rubles). Also you can use the services of a guide – from 400 to 1200 rubles, depending on the number of people. A one and a half hour professional photo session will cost 3000 rubles. Strukovsky garden. The oldest park is not only in the city, but also in the country. In 1848, the merchant Obukhov bought a part of the forest adjacent to the Volga bank, and gave it to the city. 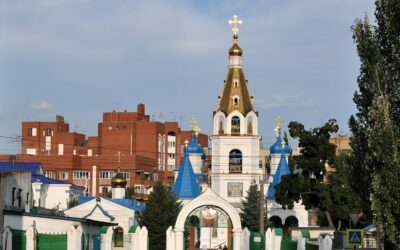 From then until today it is the central place of Samara. Often there are folk festivals and festivals. Just a few days ago the park opened after the restoration. Now here new paths, shops, neat green lawn – an ideal place for quiet family walks. 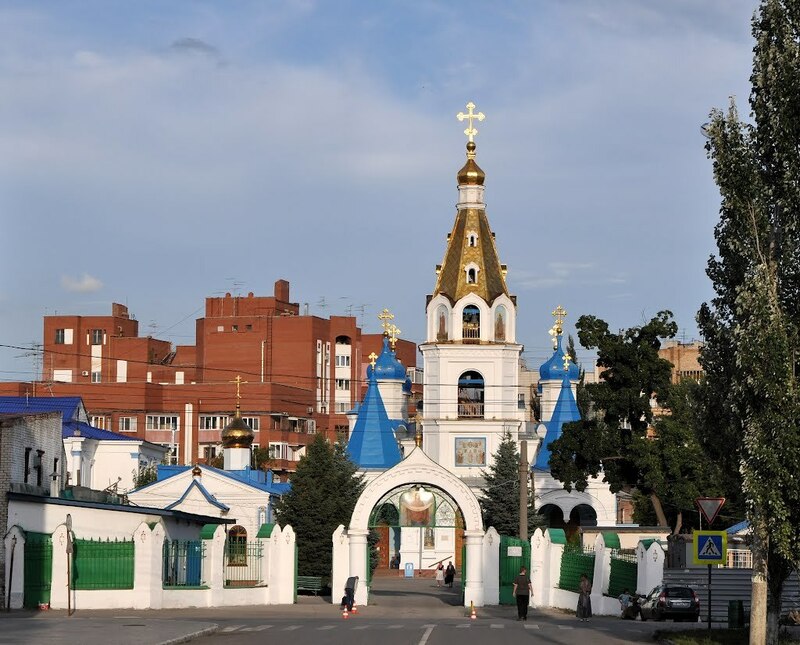 There is a Grot fountain in the territory, there are chess clubs, a bookcross shelf (free book exchange), a summer gazebo decorated with flowers. The park will appeal to fans of adrenaline – there is a brand new skatepark. 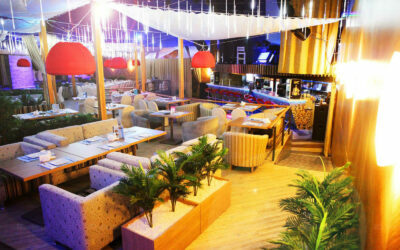 There are a lot of places where you can eat deliciously in Samara. There are cheap minibars, there are expensive premium restaurants – which place to choose depends on your budget. We present to your attention the TOP-3 establishment, where, according to the citizens, it is possible to have a delicious and atmospheric time. 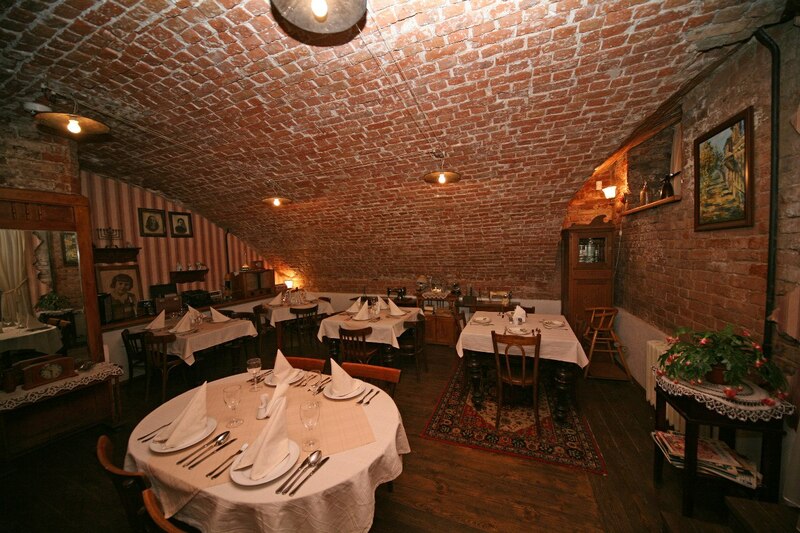 The restaurant-museum “Old apartment”. If you want to plunge into the Soviet way of life in the 1950s and 1970s, then this place is exactly for you. The restaurant is located on the ground floor of a 19th-century building and exactly repeats the appearance of an apartment of those years. Furniture, telephone sets, appliances, kitchen utensils – everything comes from there and everything is genuine. 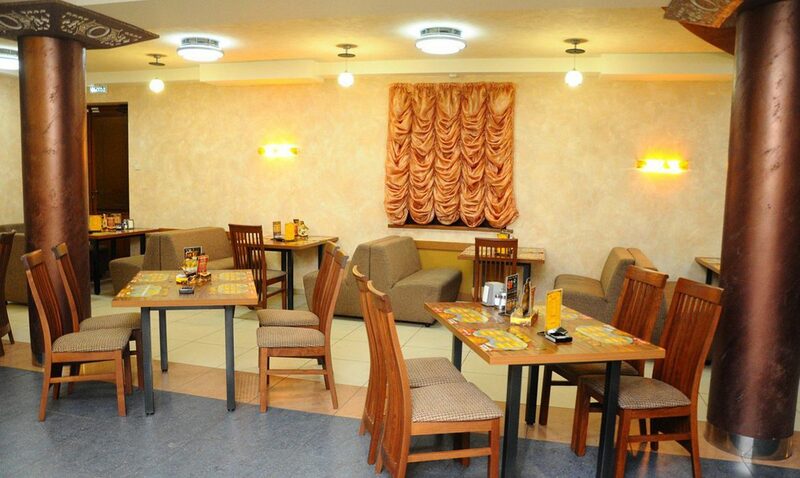 Here you can see Russian and European cuisine, but visitors come not only to eat. It is an ideal place to take pictures and feel the nostalgia for the old era. Want – choose a place in the Soviet kitchen, you want – you will cover a magnificent table in the living room. Restaurant “Hats House”. This is a whole network, which in Samara has four establishments. It is noteworthy that they all have a lot of halls, the design of which is made in different styles. 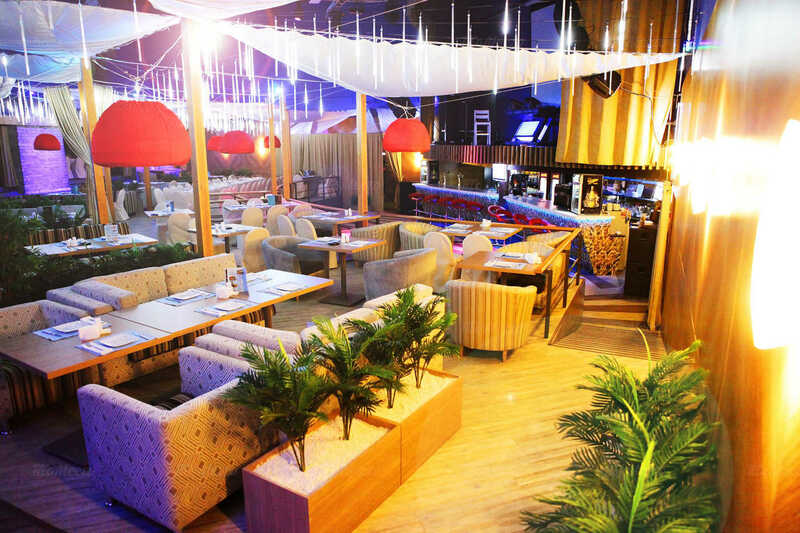 Do you want to – dine in a cozy room with soft sofas, you want – smoke a hookah in the atmospheric Turkish room with stained glass windows and local ornament on the furniture, if you want – spend a party in a spacious modern lounge with a dance floor in the center. Local people like this place for unusually tasty meat on the grill, they say that here it is the best in the city. The restaurant “Russian Ohota”. In this place you can taste dishes from roe deer, quail, elk, deer, wild boar and other animals, which are usually hunted. The place is also remarkable for the fact that it has its own brewery, whose beer, according to visitors, is very tasty. Here, very large portions, delicious meat, which is nowhere else to try, and fresh beer – ideal for long spiritual gatherings. By the way, the prices here are very democratic.